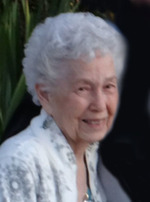 McTier, Margaret Ellen – Promoted to Glory, suddenly, on June 12, 2018 at the age of 84. Pre-deceased by her much loved husband Frank. She will be greatly missed by her children Kathy (Rob Strain) and Raymond, her 5 grandchildren and 5 great grandchildren. Friends will be received at the Ward Funeral Home, 2035 Weston Road (North of Lawrence Ave. W.) Weston, on Thursday June 28th from 2:00 p.m. until the 3:00 p.m. Memorial Service in the Chapel. As expressions of sympathy, donations to the Multiple Sclerosis Society of Canada would be appreciated.